I am proud to represent the views of Young Carers and am looking forward to working with the new youth council members for young carers to lobby for issues important to us. There is no stereotype to Young Carers issues and worries are individual. I feel that I can play an active role within the council. I am huge believer in equal rights and opportunities and am looking forward to raising awareness of the needs and issues Young carers and Young Adult Carers are concerned about as well as raising their profile and creating awareness. I have been a young carer all of my life and know first hand the highs and lows caring can bring, I am particularly passionate about supporting young carers and Young Adult carers within education, this was difficult for me and I’m keen to take issues to the youth parliament for consideration and awareness. I am a keen communicator and feel I can confidently represent young carers in this new role. 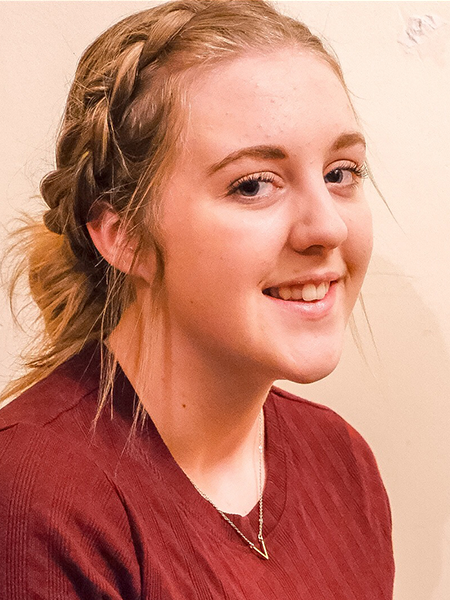 I am currently studying a level 3 early years and childcare course and hope to gain a place to study Learning Disability Nursing in the future.